Today, I’m going to explain one of the most critical parts in KakaoTalk: Session Key. KakaoTalk has only one mechanism to authenticate the user. It is the session key that is generated in the process of registering yourself to the KakaoTalk server when you first install on your mobile device. This, then, is stored in the device until the user deletes KakaoTalk. As you saw last time, the Session Key is required for every request that is sent to the server, and included in HTTP header with the field name of ‘S’. So, how is this key generated, and what does the life cycle of the key look like? First part (X) is generated during the SMS verification in registration step. I tested on Android KakaoTalk, and the following is the steps in detail what’s happening in the process of the verification. – Meanwhile, the server also sends actual SMS message (which contains passcode) to the number. Once the user puts in the passcode, the client submits to the server. – Here, old_session_key is set when you have changed your phone but still has old_session_key backed up in the system. Server responds with status code ’11’ and a new token is returned when successful. Finally, the client requests [/android/account/verify.json] along with the nickname that the user specified. The server generates and sends ‘sessionKey’ in JSON data with other information as well. – JSON data includes: sessionKey, ‘member’ object (type is set to -10, which means it’s myself), userid (unique number that differentiates users), nickname, etc. At this point, the session key has been given to the client, and the client saves it locally. – The subsequent requests must contain this session key, otherwise the request is rejected with error code -500 (session key not specified). Client then sends a query to [/android/account/update_settings.json] to sync the information on the server and the client. – POST data: model, simOperator, screen_resolution, os_name, os_version, etc. – I wonder why they need all this much information. I haven’t tested on iPhone, but it’s just basically the same with different URL for iPhone. 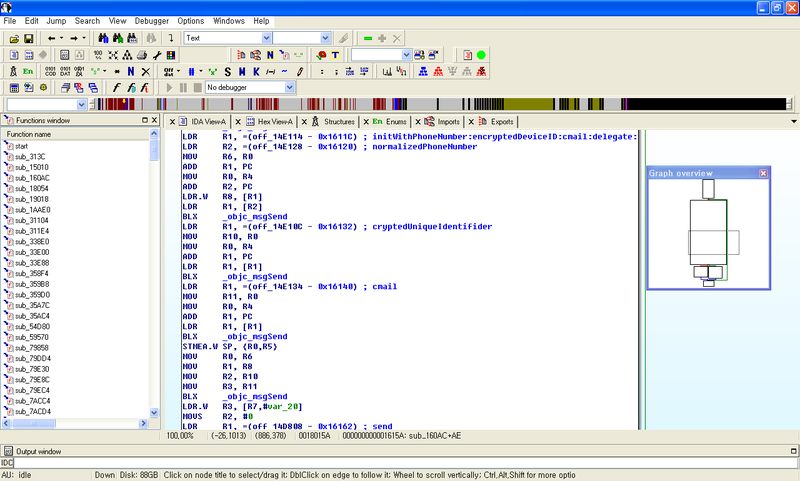 Second part (Y) is generated based on the device id. Again, as the name indicates, it does something with the device ID, but I haven’t reversed this part yet. The reason I didn’t go deep enough to actually understand how they generate the device ID is because while it’s still possible to reverse engineer and reconstruct the encrypted device ID, there’s no way to reconstruct the first part of the session key since it comes directly from the server. Thus, unfortunately, there doesn’t seem to be a good way to regenerate the session key. Once it’s generated and given to the client, both client and server just save it locally and use that to authenticate. As I mentioned above, the usage of the session key is blatantly obvious. They use it to authenticate. Once it’s set, it never changes — unless the device is changed. The session key must be included to the request header. If the device ID changes (due to changing the device, etc. 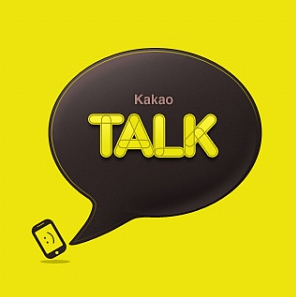 ), KakaoTalk asks the user to re-verify the mobile device. In this process, old_session_key is set to the previous session key and the newly generated session key is returned. When the user verifies with the existing (same) number, KakaoTalk server revokes (deletes) old association with the account and the session key. Thus, it is not possible to impersonate a user with his/her old session key. 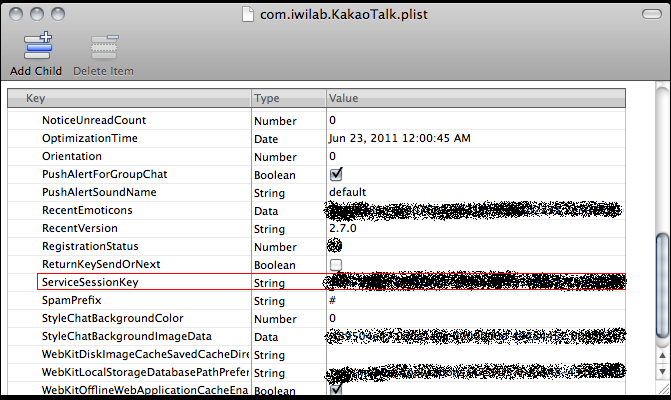 Anyways, that’s what I have and know about KakaoTalk’s session key system. 혹시 PC버전 프로토타입으로 퍼징 해보셨어요? 그런데 여기서 https://ac-talk.kakao.com/android/account/request_sms.json의 Post Data의 phone_number은 010-XXXX-XXXX의 형식으로 보내면 되나요 아니면 그냥 010XXXXXXXX로 보내야하나요 아니면 다른 형식으로 보내야하는건가요? 지금 카카오톡 대화 프로그램을 제작하고 있는데 저기서 막히는군요. 안드로이드를 기준으로 했을때 country_iso는 82를 대입해주면 되는건가요? device_id는 안드로이드의 uuid를 넣어주면 되는건가요? 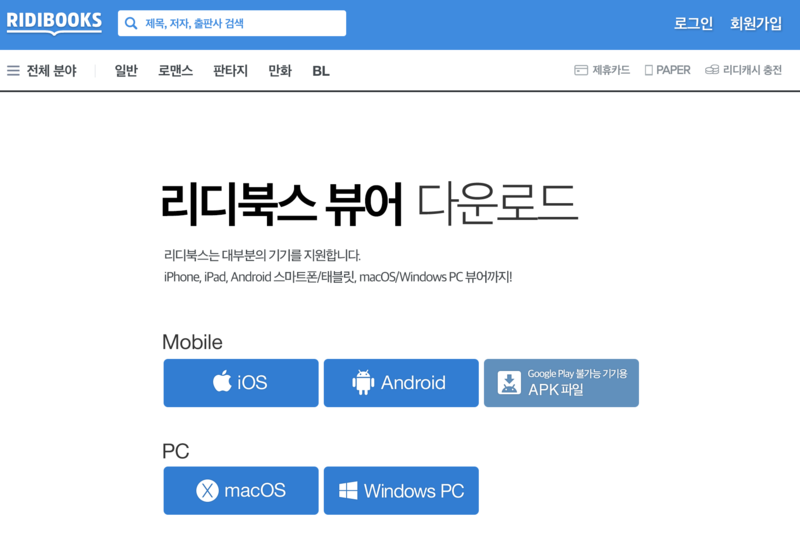 만약에 그냥 대화 프로그램만 만드실것이라면 (즉, 폰이랑 연동 안되는 계정 생성) device_id는 사실 아무거나 넣으셔도 크게 상관이 없습니다. 문자만 제대로 받으면 되니까요 :) — 구글보이스 번호를 사용하셔도 됩니다. 저도 님과 같은 방법으로 여러가지를 시도해봤는데요..
역시나 인증 sms 및 인증 토크 받는 부분은 3G 에서도 SSL 을 사용하고 있어서 거기서 막혀버렸네요..
계속 뜨는데 device_uuid, phone_number, country_iso 및 정확한 전화번호 형식이 어떻게 되는지 알 수 있을까요? 아참 제 이메일 주소는 [email protected] 입니다…. 허나, 몇 시간동안 삽질을 해보니, verify.json으로 POST 넘겨주는부분에서 자꾸 걸리네요..
뭐, 헤더 부분쪽에 SetRequestHeader “A”, “android/2.7.1/ko” 이런 부분을 넣어보면 가끔 해결되는 경우도 있던데…그것도 아니고.. 그렇다고 지금 packet을 dump 할 수도 없는 상황이라서 바이러니를 분석해보며 끙끙하고 있네여 ㅠ.ㅠ 도움 주실 수 있으신가요? 이거 혹시, iphone와 android 의 인증이 따로따로 되나요? 그래서 자꾸 이상한 에러가 난건가..
user-agent와 A 헤더가 도대체 어떻게되야하는지 정말 궁굼합니다.. 도움좀 주세요..
안드로이드용 헤더를 찾아서 넣어보면 자꾸 반환값이 -500이 나고. iphone 헤더를 구해서 넣어보면 자꾸 -998이 반환되네요.. 도대체 왜이럴까요 ㅠㅠ맨날 삽질이네요.. Thanks for this analysis. I have been looking over the various alternative messaging apps, particularly at security, and this has been very informative.